Why The Glades at Tanah Merah in slides? 2 train stations away from Changi International Airport, with luggage in tow. Catching your flight at the airport just got a lot easier and a lot cheaper too. Just 1 MRT stop to Simei - a quick access to Changi General Hospital. 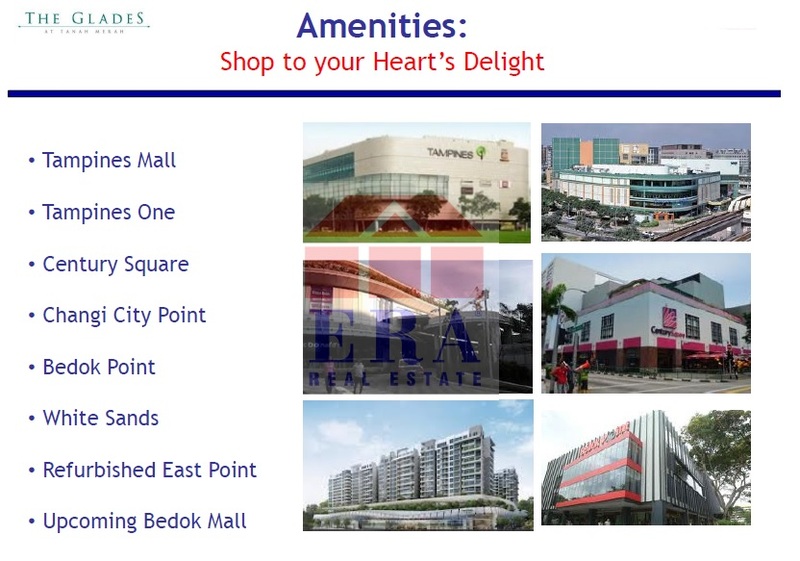 2 MRT stops to Tampines Regional Centre - shopping at the big malls anyone? 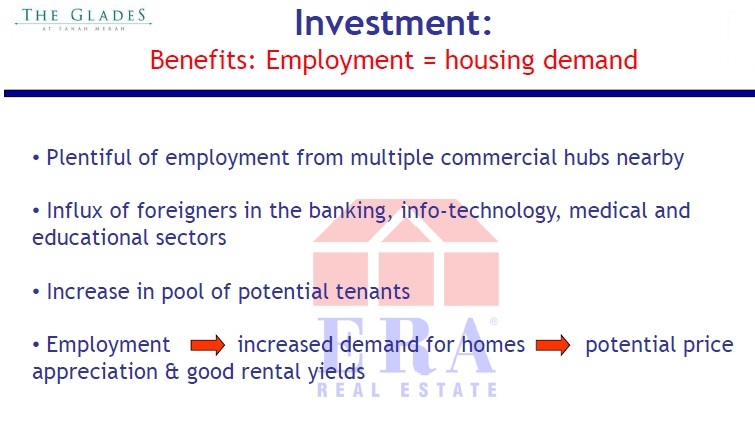 A regional centre is a second-tier commercial zone, and likened to a step behind the central business district. It serves 800,000 people in its own region. Fringed by low rise landed homes. Lower population density and more unblock and open views.